Another of the patents Apple relied on in a $1 billion infringement lawsuit against Samsung Electronics has been called into question by the U.S. Patent and Trademark office (USPTO). 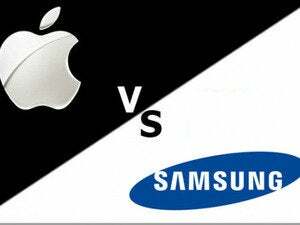 The move, if not successfully opposed by Apple, may help Samsung in its appeal against the judgment. The USPTO announced in a letter dated Dec. 19 that it has tentatively rejected all 21 claims of U.S. patent no. 7,844,915 on “Application programming interfaces for scrolling operations,” also known as the ‘915 patent. All 21 of the patent’s claims were rejected on the grounds that they were either obvious or invalidated by prior art as described in three earlier patents and four published documents. The letter was disclosed to interested parties by the patent office and submitted by Samsung to the U.S. District Court for the Northern District of California, San Jose Division, where its appeal against the $1 billion judgment is being heard. Samsung said the USPTO’s decision was relevant to its appeal because all claims in the patent had been rejected, including claim 8, the only one at issue in the trial. 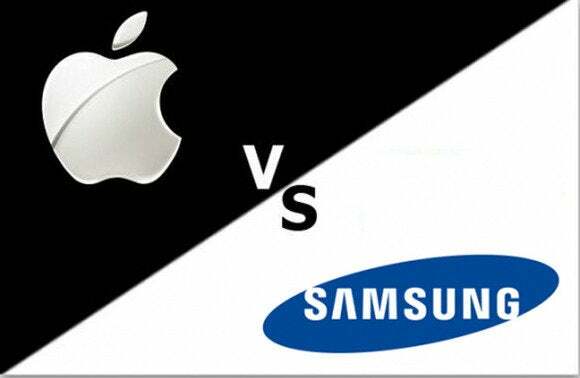 Apple and Samsung both declined to comment on the USPTO’s ruling. It is the third Apple patent in recent months to be tentatively rejected by the USPTO following an “ex parte” request for re-examination. Another of the patents at issue in Apple’s Aug. 24 victory over Samsung was no. 7,469,381 on “List scrolling and document translation, scaling and rotation on a touch-screen display,” also known as the “overscroll bounce” or ‘381 patent. The USPTO issued an “office action” on Oct. 15 saying it intended to reject that patent because it had found evidence of prior art. On Dec. 3 the USPTO issued a similar action in respect of patent no. 7,479,949 on “Touch screen device, method, and graphical user interface for determining commands by applying heuristics” (the ‘949 patent). That patent was not involved in the case decided on Aug. 24, but with three other patents gave the U.S. International Trade Commission grounds to issue an injunction against imports of a number of Samsung smartphones in October. There is likely to be a rise in such re-examinations in the coming months, as the USPTO deals with a backlog of requests filed just before a sharp fee increase in on Sept. 16. The request to re-examine the ‘915 patent, however, was filed on May 30, while that for the ‘381 patent was filed May 23.